What is that you see? Three spoke wheels. Hm. The faceless face. Interesting. Tucked away door handles. Whoa. 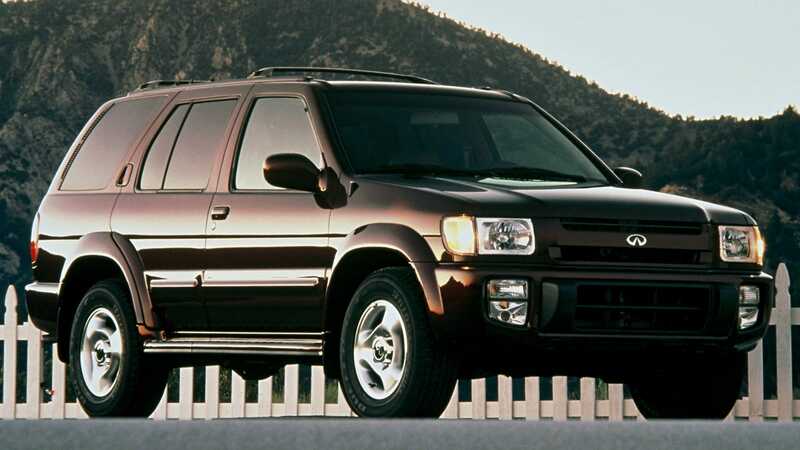 What is that mystery SUV, hailing from the height of the era? That’s the Infiniti QX4, a car for today.